shelly's summary: Precious Baby Avery!!! 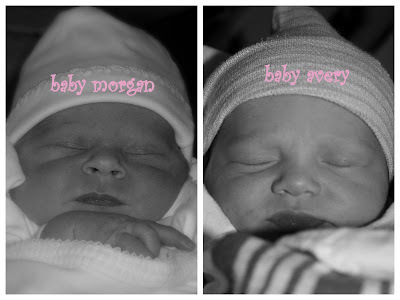 and just for fun i did a little comparing of the two babies (she has a big sister morgan who is almost 3) at first i did not think she looked like morgan but once i put these pictures side by side i think they look a lot a like... what do ya'll think?? ?